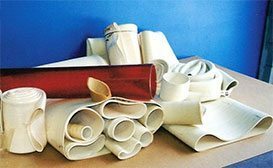 AFF manufactures heavy-duty pressure sleeves of FDA approved white gum rubber with reinforced cotton duck jackets for use in pressurized food processing applications. Feel free to call or email one of our expert sales engineers for a custom quote. 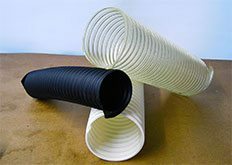 AFF offers a wide range of diameters and wall thicknesses; tubing of other compounds (EPDM, neoprene, nitrle, and silicone) are also available. 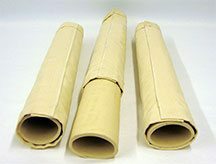 AFF custom makes heavy-duty canvas jackets that contain any product form escaping incase of a tubing blowout.